Today's download is a red and white goalnet for FIFA2K(see screenshot below). DE KUIP NOW ALSO WORKS IN SOFTWARE MODE! Great news for the software FIFA players, De Kuip now also works in software mode so download it now by clicking here. Finally I have finished of De Kuip for FIFA2000,I have changed nearly all the textures of the converted Feyenoord stadium of FIFAMANIA,look at the screenshots below and see for yourself.Or download this fantastic stadium right away by clicking here. IMPORTANT: THE STADIUM ONLY LOOKS GOOD IN 3D_MODE I AM WORKING ON THE SOTWARE MODE. My FIFA2k and EURO2000 work again so I will be updaiting this site almost every day from now on!! 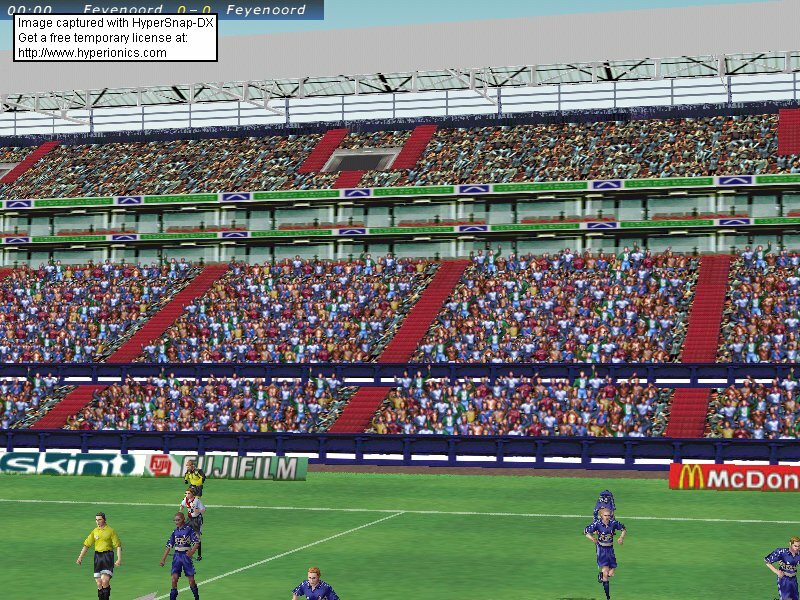 The fist upcoming file is the converted Feyenoord stadium in FIFA2000 looking VERRY realistic! !Screenshots will be uploaded soon! 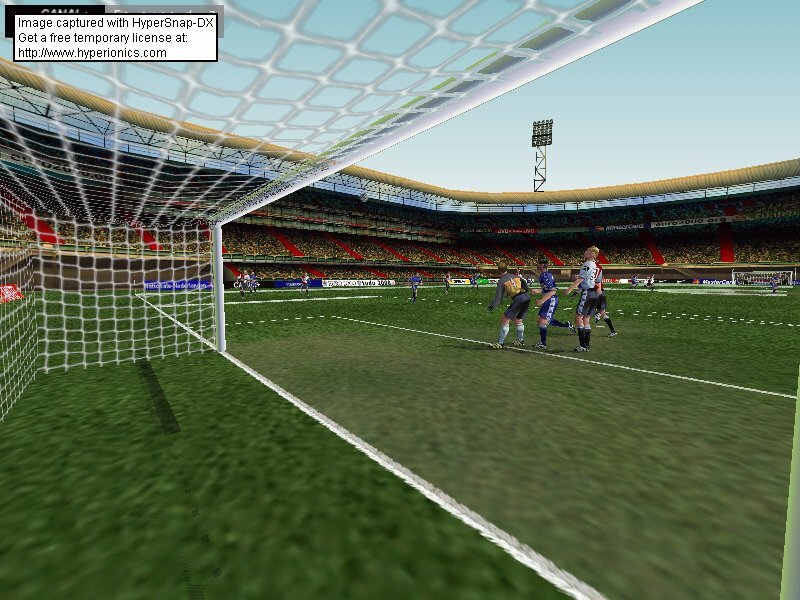 The second file wich will be released is a more realistic Kuip in EURO2000. FEYENOORD ARE GOING TO SIGN SUPERTALENT FROM SWEDEN: JOHAN ELMANDER!! Feyenoord are going to sign the talent from Swedish club Ogryte for 5 years!! Manchester United and Lazio also were after Elmander!! I'm talking now about the game ON the pitch and the Game on our Computer, So finally is here your Ultimate Euro 2000 resource! You can find here, an ultimate archive about the euro 2000 referees, fixtures, players, photo galleries, And of course the latest news. About the game you can find on EuroGaming (www.fifagames.net/eurogaming) . The best jerseys (all of them are 64 Color) Stadiums (G2). Soon you will find this site on the URL www.eurogaming.org So stay tuned on EuroGaming (www.fifagames.net/eurogaming). We are looking for people that can help-us: 4 Newsposters and 2 Co-Webmasters - 1 Webmaster. I have a BIG PROBLEM! !I won't be able to make any patches for FIFA2k and EURO2000 at the moment,because both games don't work!! 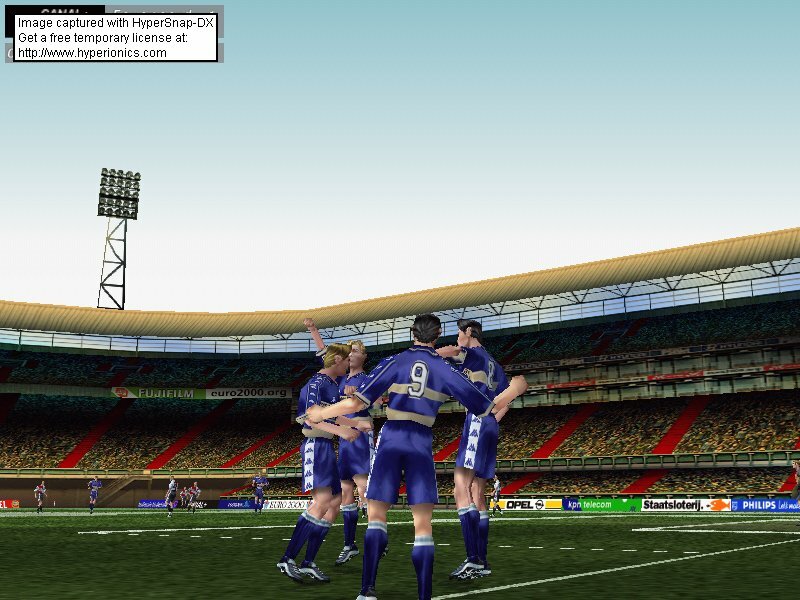 EURO2000 only works in software mode,because when I wan't to play a match in 3D Mode,the screen freezes when the match is loading or even when it's still in the main menu!! 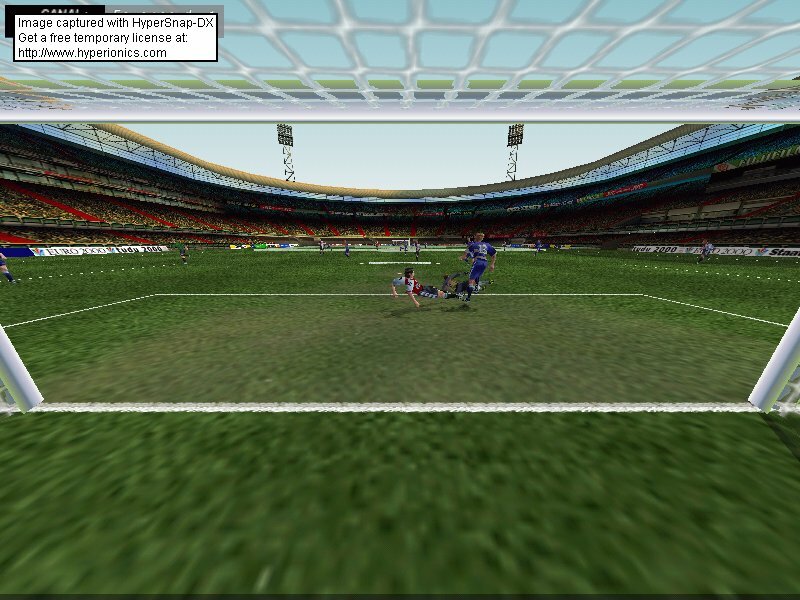 With FIFA2000 the screen freezes in software mode AND in 3D mode! !Also when the match is loading,CAN SOMEONE PLEASE HELP ME? ?I AM DESPERATE!! This problem also is the reason why there are no screenshots of De Kuip as I promised. v.d.Sar (Juventus), Westerveld (Liverpool), de Goey (Chelsea). BERT KONTERMAN TO GLASGOW RANGERS!! Glasgow Rangers have signed Feyenoord defender Bert Konterman for �4M! !The Dutch international has signed for 4 years. I have also joined FIFAGAMES Top 30 FIFASites. 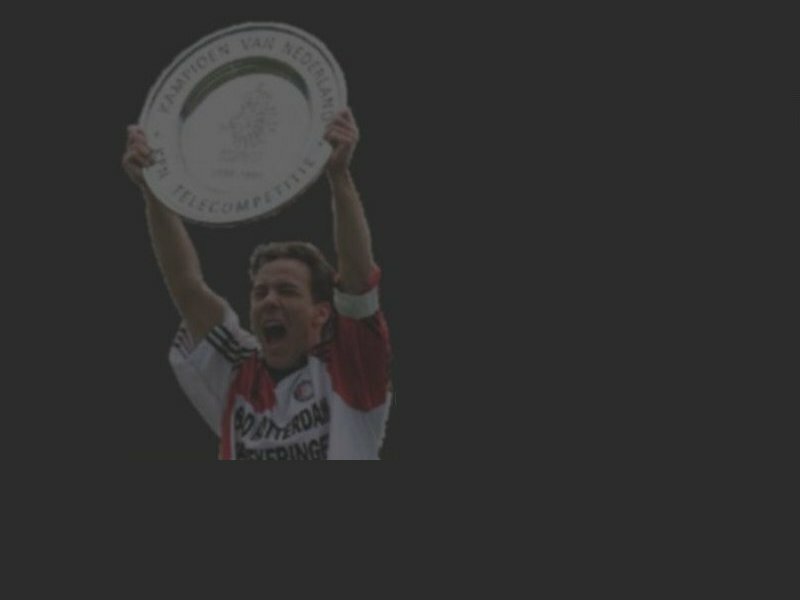 The screenshots of De Kuip in EURO2000 are coming today or tomorrow,I was supposed to put them on the site Thursday,but my EURO2000 wasn't working,so come back later or tomorrow and see an even better Kuip in EURO2000! !